Some weeks, you just want to see the back of. This was definitely one of those weeks. On Saturday three of the hens were killed by a fox. A fourth died of her injuries on Sunday. On Wednesday the dog discovered something in the corner of the big barn and started barking furiously at it. Hardly recognisable as such, but another fox, this one badly affected by mange. The next day it, too, had died. Today I picked up its body on a shovel and took it into the woods. I know death is a part of life and all that, but this week I feel as though I have been dealing with nothing but death. P.S. The book was very good. But really should have been called Death after Death, I think. And foxes did feature rather a lot. 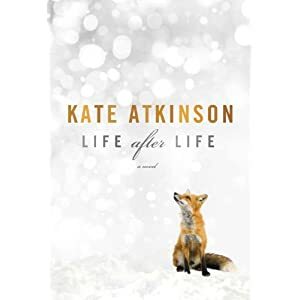 Representative sentence (p.141): "She hadn't expected to die like a fox frozen in its den."